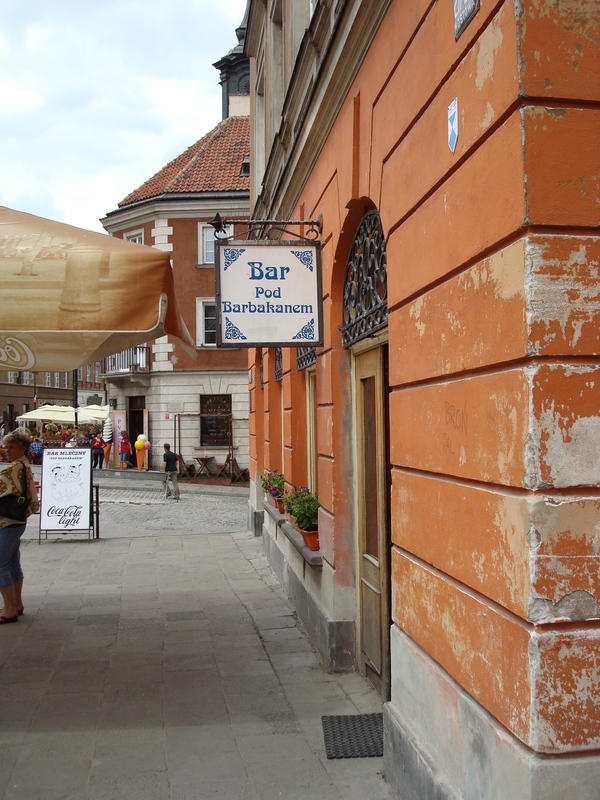 Located immediately outside the Barbicon of Old Town in Warsaw. When my colleague Ted described the milk bar where he often ate lunch, I knew I had to go there. A milk bar — misleadingly named — sounded far more authentically Polish than the traditional meat extravaganzas we were visiting. 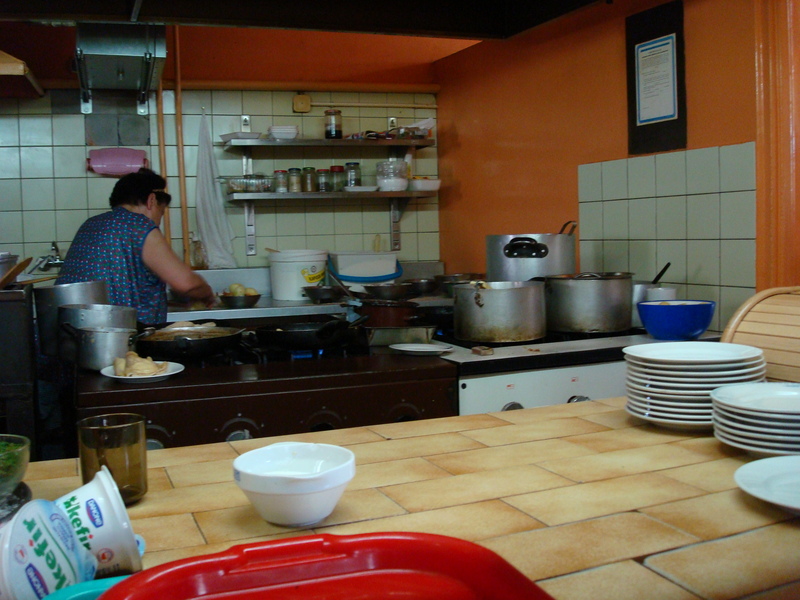 Working stiffs and students frequent places like the one pictured here, because the food is cheap, simple, and good. White tiled walls and floor, plastic chairs, and less than ten chrome-edged tables do not make for inviting interior. You come in, go to the cashier, order your food from a menu posted above, pay, take your receipt to the small window into the kitchen, wait briefly for your food pushed through the window on a tray, eat, and leave. Functional. I ordered a borscht and got something completely unexpected. A clear broth made from beets, vegetables, cider vinegar, and sugar. Broad beans floated in the ruby-colored liquid. I liked the sweet-and-sour flavors, but would have liked a touch more sour. To accompany my soup, I ate a refreshing cucumber, dill, and yoghurt salad. Nowhere else in Europe would lunch have cost me six zlotys or about three US dollars. Poland is a bargain.